As I mentioned a while back one of my building projects was a shelving unit in the garage. Well I completed that project, I just never got around to writing about it. My apologies for the long delay but at last its finally here, my build log for the garage shelving unit! After moving in with Morgan and quickly realizing my beloved motorcycle would not fit in the garage, I knew we had to do something about storage. There was plenty of space but without proper shelving we couldn't utilize it. I also knew she wasn't going to be a fan of my pallet rack style shelving I had at my old house. After a few discussions about what would actually look good and be functional I set out on the adventure of building my own shelving. I started by simply researching what other DIY'rs were doing and trying to determine how to build something strong and relatively simple. I sketched out some concepts, made some measurements in the garage, talked it over with Morgan, and then set out to design them. The basic concept was to have a multi shelf unit, with a semi-craftsman style. I knew I wanted the top shelf to have some crown molding to give it a finished look. I also wanted the the shelves to be deep enough to hold some rubber-maid bins my wife found. Specifically the bright blue ones you see in the picture above. I also wanted to have room for four bins side by side on each shelf. I highly recommend buying your bins first and then designing the dimensions. Obviously leave some spare room encase you change bins down the line, but building something only to find out you are two inches shy of big enough could be a major bummer. Designing in ViaCad really helps with that process. An additional benefit of working in a cad is that its easy to adjust the deign and then once you are all finished you can get precise measurements for your design. As displayed the the pictures below, I was able to extract measurements for a variety of views. All of which I utilized during the build phase of the project. Allow me to explain the series of CAD images in a bit more depth. The first image shows a top down view of my design. 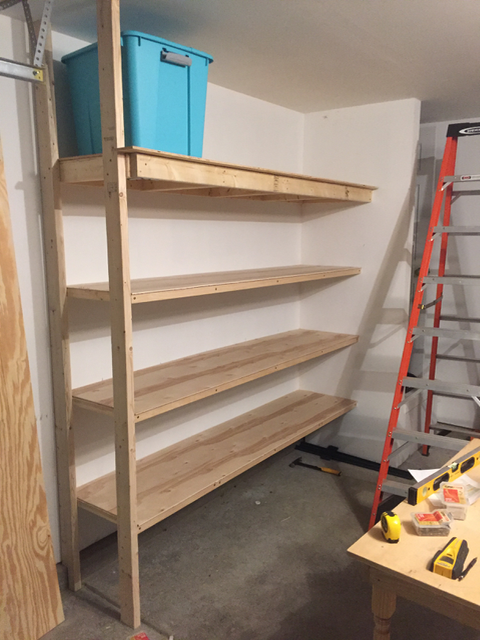 I decided to make the usable shelf width 7'2" (86"), this gave me 21.5" per bin and my bins are only 19" wide at the top (17" wide on the bottom). The top shelf is 2ft deep and the other shelves are 16 inches deep. The shelf depth decision was based on the needed depth to hold my bins and minimizing the total amount of wood required. I will get more into that but with a single sheet of plywood I could get 3 pieces if they are only 16", if I went for 18" then I would be wasting a lot of wood and that just didn't make a lot of sense. I could have technically fit a 24" shelf in the space, but the added depth would mean parking the car further towards the center of the garage than required pre-shelving unit. This would take up precious floor space, limit the garage to single car, and I could not see the extra 8" actually being utilized. A 16" shelf is actually a lot deeper that it may sound. 1. The first step is to find and mark your studs. I wanted this unit to be able to hold most anything I or a future home owner might think to put on it. So I decided to connect the unit directly to the studs in the wall. I used my stud finder to mark where each stud was located and I went ahead and marked that in a couple of spots vertically, so I would not have to re-find the exact location when attaching my shelf supports. 2. Measure the height where the top shelf should be located. 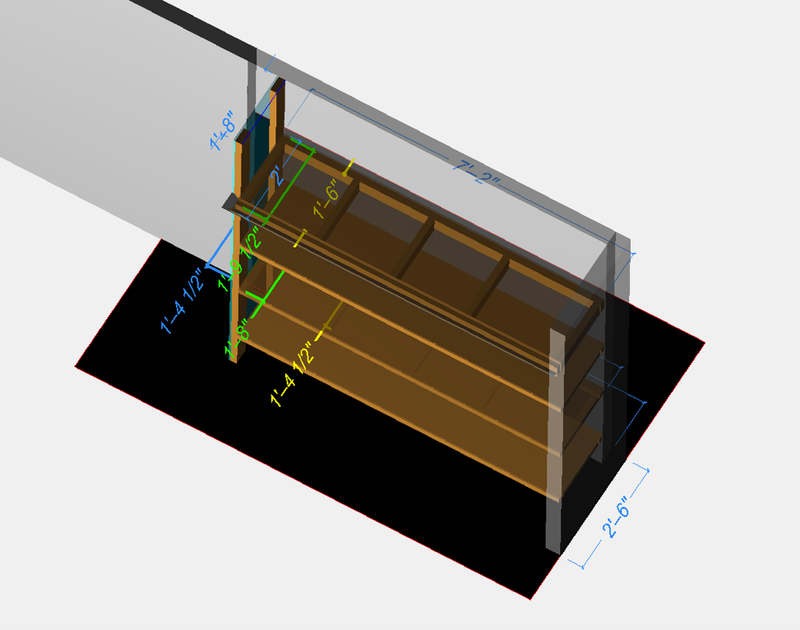 I utilized my CAD to know how high it was supposed to be from the floor, but I also re-measured from the ceiling to make sure the measurements I put into my CAD were not wrong! I then marked the wall where each shelf should be located. 3. The next step I took was to build the frame of the top shelf. This is important because I wanted my horizontal supports to be screwed through the 2"x4" on each side. 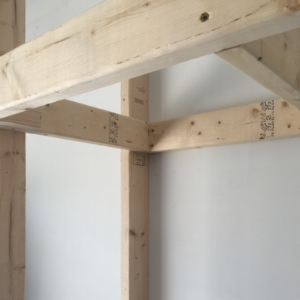 You could choose to attach the supports to the 2"x4" with screws at 45deg angles if you decide to pre-attach the 2"x4" to the wall before building out a frame. The disadvantage of pre-building your frame is you will probably need a second set of hands to get it attached to the wall, the advantage is simplicity and speed. Morgan served as my second set of hands. 4. After attaching the frame to the wall, I proceeded to immediately attach the frame to the adjacent wall and to my freestanding vertical supports (as pictured). At this point that top shelf is very sturdy. 5. Repeat the process for the other shelves. So something I had to deal with was my concrete on the floor not being wide enough to support a 2"x4", but also not flush to the wall. Given that the 2"x"4 was not the only vertical support for the unit, I went ahead and notched the 2x4 so it could sit flush against the wall. This was mostly about aesthetics more than anything else. I did measure precisely how high the notch needed to be so that the board would touch the concrete in the notch and at the end of the board, although I don't know that was necessary, it just made me happy. Once I had the framing in place for all the shelving the next step was to add the actual shelf. Because I was able to put up strong framing I didn't feel the need to install thick plywood, also I wanted the shelves to be smooth without a lot of sanding. I purchased a few sheets of 1/4" thick plywood an had the store cut them to the width I needed (16"). I also did not want the framing to be visible from underneath the shelf (this part is totally optional) so I decided to put identical pieces of plywood on the bottom as well. To eliminate having screw holes on top I decided to glue the top plywood on. I put some cabinet screws on the bottom sheet of plywood, I could have glued it but that seemed like too much work. After getting the glue down and the shelf in place I clamped everything down and let is cure overnight. The next day the glue was dry and I could move on to the next step, attaching the sanding. I primarily sanded edges to get them flush with the 2x4"s. I also filled in any holes in the 2x4"s with wood putty. 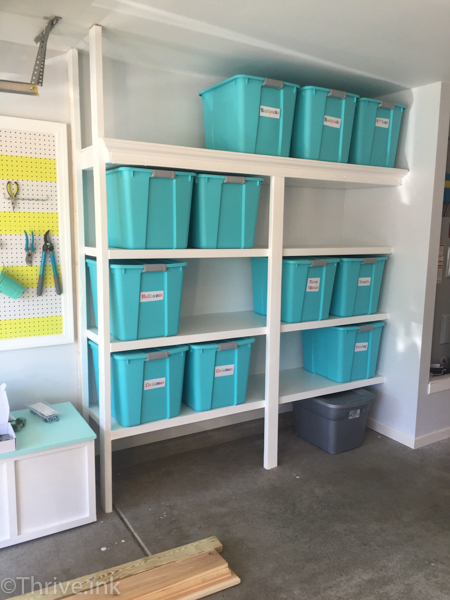 Next I installed the molding for the top shelf using a nailer and then got side tracked building my wife a box to store her gardening items in and installing a pegboard to hang items on. That concluded a Saturdays work. The next day i was able to prime and paint everything. I chose to use a high-gloss paint for the shelves primarily because my wife likes the look of it, but it also tends to be easier to clean and resist marking / scratches better. Overall this wasn't to hard to complete, there were only a couple of points in the process that really required two sets of hands, but more hands usually makes for easier work! We were able to complete the project plus our additions to it in two weekends so i was pretty happy with that. 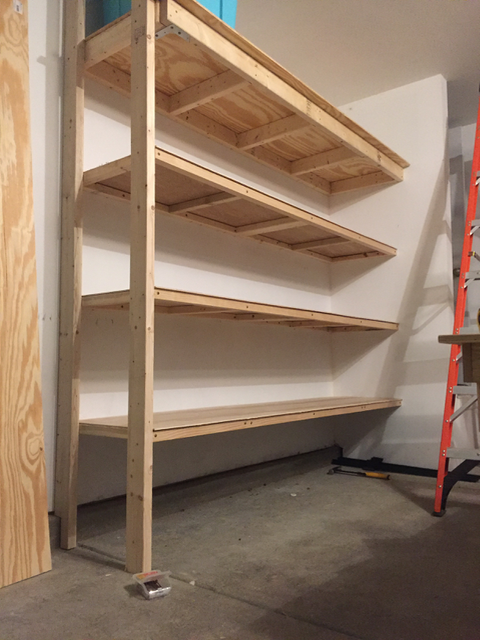 If you need shelving in your garage I would encourage you to try building you own. Just define what the function of the shelving will be, how much weight it needs to hold, and what you want it to look like. Hopefully my experience will help you from there. So I haven't really made a post in a while and its not for lack of projects but rather too many projects I have not made time for posting! 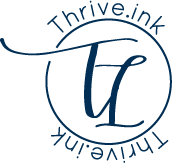 So In the interim I thought I would share some of what I have been up to. So expect to see some building guides and finished project posts in the near future! Now a married man with the positive influence to actually really organize all that adventure gear and consolidate, I realized we were going to need some new shelving. One of the things I appreciate about Morgan is she gives me the freedom to really take my time and build quality and nice looking stuff around the house. She also is quick to offer her thoughts when I ask but leaves me to kinda figure out how I want to go about doing stuff. So for the garage I decided to take advantage of some essentially wasted floor space and build some permanent shelving. Morgan has shared in a few blog post about some stuff we have been doing around the yard and exterior of the house. While this hasn't required much in the way of building anything, we did make our own raised bed herb garden. It was a really fast and fun project and we were both happy with the results! Like many homes the laundry room often suffers with a lack of good storage space and finishing touches seen elsewhere in the home. Because our laundry room also co-serves as the pantry and garage entry, this space was in need of a major update. We installed a cabinet, a new shelf, and a hanging clothes rod! The project took a bit of planning and we are wrapping up some painting but its nearly finished! Allow me to note to any DIY'r for projects in spaces of necessity, if you cannot fully complete the project make sure you reach fully functional before you take an extended break. While the room may need a little paint nothing is inhibiting the use of this space. As I eluded to in the garage organization post, I have been attempting to re-organize and reduce the amount of stuff I have. Its actually been really great because Ive been able to give away some of the stuff I haven't used in a couple years. As I go though everything Morgan has been making labels for each bin so I know exactly whats in it as well! Having everything labeled has already come in handy a number of times. I think once all is said and done I will end up with exactly what I need to keep and not have a bunch of stuff I will never use again taking up space. So that's kinda what all I have been up to; its been a little bit here and there. Although a little crazy it is kinda of all happening synchronously out of necessity. Which means I will probably finish all the projects about the same time! One thing I can say is I am actually enjoying the diversity of projects because it keeps me excited to jump into them without reaching the exhaustion of 'when will this be over'.